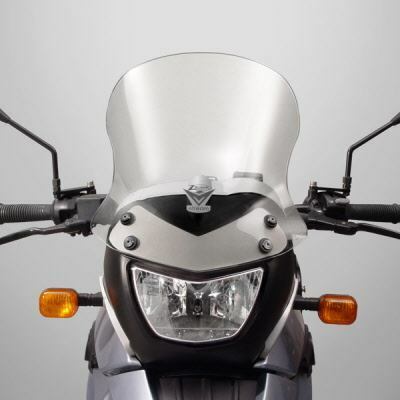 Note:You need Z5302 Mirror Extenders for correct clearance to fit this screen on the 05-07 F650 Dakar Model. 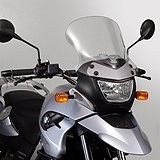 BMW F650GS 2005-2007 V-stream Touring Windscreen Z2412 State-of-the-art Quantum™ coated polycarbonate gives VStream windshields outstanding clarity and strength characteristics unmatched by any windshield maker worldwide. This exclusive combination of Quantum and polycarbonate is 30X more scratch resistant than acrylic materials, has better UV life, chemical resistance, and optical definition, and has superior crack and impact resistance. This screen measures 5.0 in. (12.8cm) taller and 1.0 in. (2.5cm) wider than the OEM windscreen.